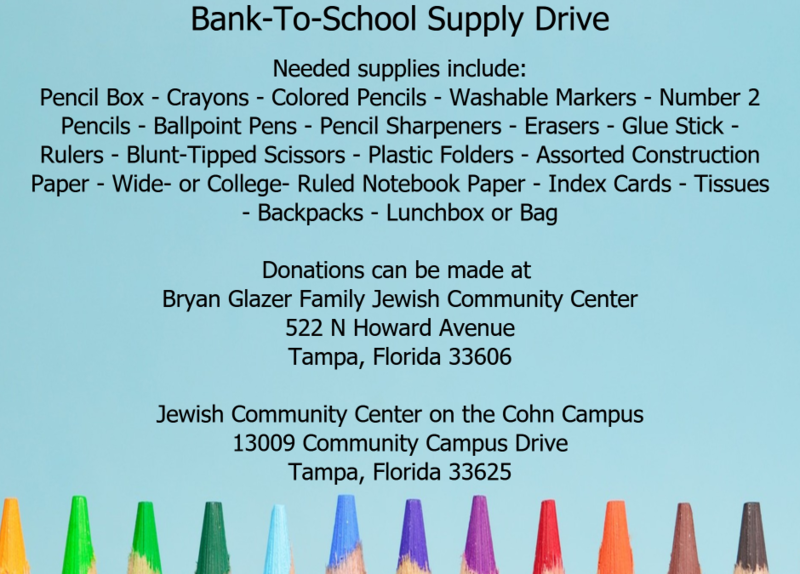 Help our Tampa Bay students get off on a good foot by donating school supplies to our Community Food Bank. Please donate backpacks, wide and college ruled paper, number two pencils, glue, blunt scissors, rulers or crayons, pens, crayons, and more! Items can be dropped off at the JCC on the Cohn Campus or Bryan Glazer Family JCC. You can drop off supplies at the front desks or the Community Food Bank bins.